Evelyn Irene Schmidt, 89, of New Milton passed away on Wednesday, October 31, 2018 at her home following a sudden illness. She was born in Hurst on October 11, 1929: daughter of the late Ernest Franklin Rastle and Opie Dell (Gray) Rastle. On September 6, 1964, she married Roy Schmidt, who preceded her in death on July 28, 1986. Mrs. Schmidt is survived by two brothers: Franklin Samuel Rastle of Pricetown and Henry Gray Rastle of Hurst, two sisters: Yvonne Foster of Buckhannon and Alice Margaret Taylor of Horner and several nieces, nephews, great nieces and great nephews. 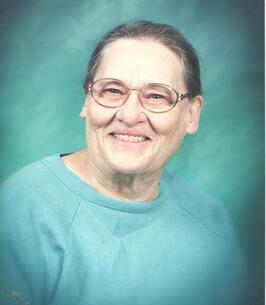 Mrs. Schmidt was a caregiver and later a senior companion with Doddridge County Senior Center. She was a graduate of Weston High School and member of the Point Pleasant Baptist Church on Fallen Timbers. She enjoyed working crossword and word search puzzles. Family and friends will be received at the Point Pleasant Baptist Church on Fallen Timbers on Sunday, November 4, 2018 from 12 noon until 1 p.m. Funeral services will be held on Sunday at 1 p.m. from the Point Pleasant Baptist Church with Pastor Carl Radcliff officiating. Interment will follow services in St Johanna’s Lutheran Church Cemetery of St Clara in Doddridge County. On-line condolences and life stories in memory of Evelyn may be expressed at hardman-palettifuneralhome.com. Hardman-Paletti Funeral Home of Weston is honored and privileged to serve the family of Evelyn Irene Schmidt. 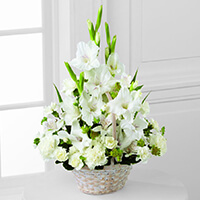 To send flowers to the family of Evelyn Irene Schmidt (Rastle), please visit our Heartfelt Sympathies Store.